The Whitehall Products Double Line Address Plaque has a classic frame design that will display your address in style. 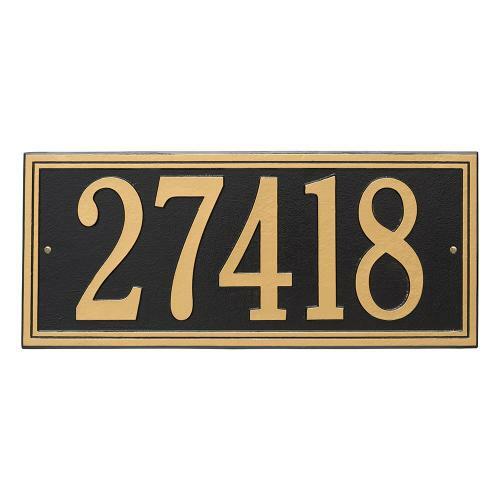 The address plaque is hand crafted from rust-free cast aluminum that promises excellent quality. Cast from recycled aluminum - will not rust.